Umma had always loved textiles. As a child, she dreamed of making it a career. 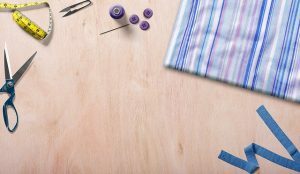 Recognising the intricate detail needed to make a garment, she enjoyed the creative element of textiles and clothing, but knew that a career in apparel manufacturing would be difficult with her severe visual impairment. reservations about her age, thinking that this type of work would favour the young, but she began to explore possibilities in the area and looked at how she could improve her skills and knowledge. 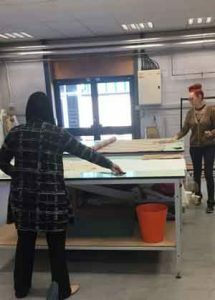 Umma’s determination at completing the programme landed her a two-week work experience trial with Diamond Quilting, Ravensthorpe. “The hours offered to me by Diamond Quilting helped me to balance work against the restraints of my social life as a single parent. The flexibility was perfect” she said. employment. The support has been vital for helping people like Umma, who have the desire but lack the technical skills”. The Centre’s programme trained 49 individuals in sewing/stitching skills in the Clothing Studio, demonstrating the added value that this type of support can offer. 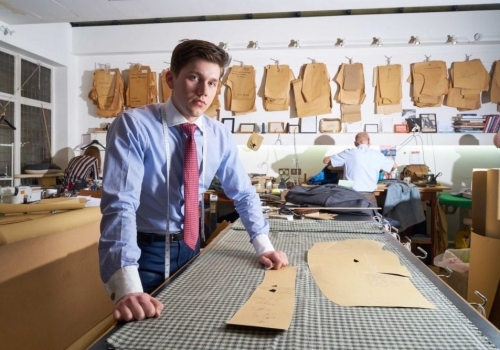 CapitB Trust work together with apparel organisations, helping to employers to help boost the skills and knowledge of their employees, and launch the careers of new and emerging individuals within the British textiles industry. 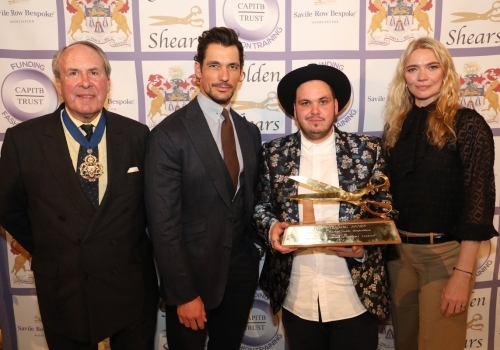 The Golden Shears Awards 2017, running for the fourth year, is a competition to find the best tailor in the UK, is awarded to the entrant whose bespoke clothing is judged for interpretation of design, accuracy of cutting and craft tailoring skills. 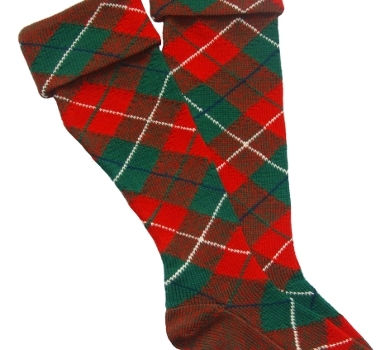 Bonnie Tartan specialises in producing tartan hosiery, tartan hose tops, tartan cuff hose and specialist socks, using 100% pure new wool.